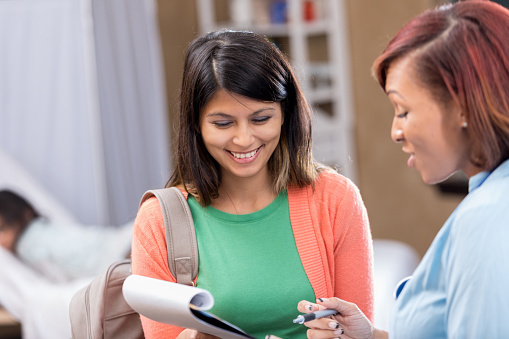 Patient experience—“the sum of all interactions, shaped by an organization’s culture, that influence patient perceptions across the continuum of care”1—is playing an increasingly significant role in the business success of medical practices. The impact is felt throughout the practice: online physician ratings, reimbursement levels, patient acquisition, and patient retention. In light of this, practices should consider ways to enhance the overall experience that patients have with their practices. Patients are turning to sources such as ZocDoc, HealthGrades, Vitals, Yelp and other online physician review sources, and reviews are impacting where patients seek care. 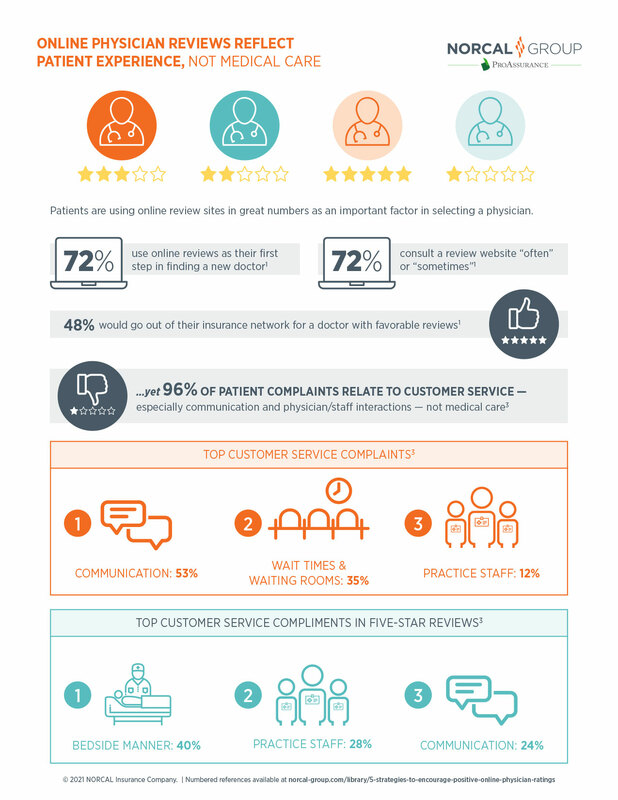 A 2019 survey conducted by Software Advice found that 72% percent of respondents used online reviews as a first step in seeking a medical provider. While this percentage may appear shockingly high to some, it accurately reflects our nation’s current consumer landscape. With similar models for selecting restaurants, clothing, cars, and other retail businesses, it was only a matter of time until the healthcare industry followed. 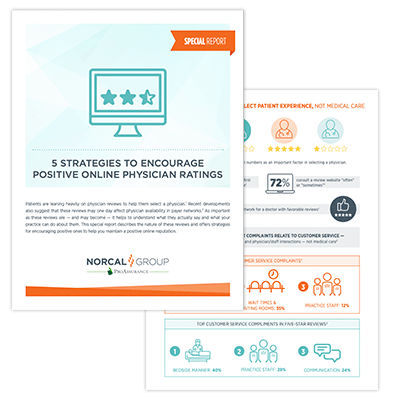 Understanding what these online reviews say — and don’t say — can help your practice develop a strategy for improving these reviews and aid you in developing a positive reputation online. Physicians’ and dentists’ personal interests and opinions can sometimes expose their practices to unwanted attention, particularly with the rate information travels today. For example, the recent negative publicity surrounding a Minnesota dentist whose hunting pastime made worldwide news, resulted in backlash that disrupted his practice. The overwhelming negative attention led to shutting down his professional social media accounts, practice website and the doors to his practice during this frenzy. 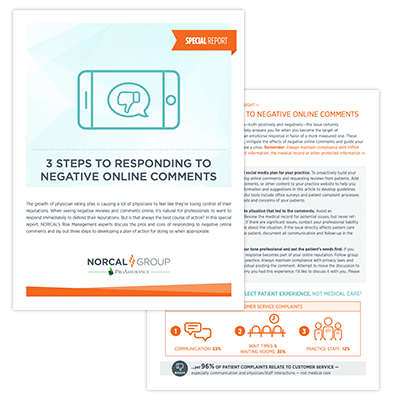 The flood of negative comments online, directed at him personally, now sit side by side with reviews of his professional ability on third-party rating and review websites. This may be an extreme scenario, but it does illustrate the power of how online reviews and commentary can affect a physician and his or her practice. Because of this, proactive steps should be taken by health care providers to safeguard their practice from negative online publicity or comments that may occur.